There’s a fresh term gaining popularity in the telco lexicon of jargon – ‘cloud-native’. David Snow, Principal Analyst at Current Analysis, calls it "the new mantra" in describing virtualized network functions (VNFs)”. But what does cloud-native mean, and how does it affect my own area of specialization, the core network? A cloud-native core network is designed and optimized to take total advantage of the cloud’s scalability, responsiveness and flexibility. It offers operators new business opportunities beyond those possible with just a cloud-ready core network in which existing VNFs are transferred into the cloud. Unlike conventional VNFs that are built with a monolithic software design, cloud-native VNF software design has a modular architecture that is deconstructed into smaller tasks or functions that can be independently assembled into the larger application. A micro-services architecture is an example of this type of design in which common pieces of software perform a small set of functions that can used by different VNFs. Load balancing is a good example of a micro-service. Cloud-native VNFs are also stateless and dataless where the subscription data, policy data, charging data, session data and state information are no longer maintained within the VNF itself, but stored in a separate common repository. An example of this is the Nokia Shared Data Layer, which provides a data layer that’s shared across multiple VNFs. Another cloud-native core network principle is the use of DevOps. Under DevOps, operations and software development are joined up, with software developers and operational personnel collaborating to build, test and release software quickly, continuously and with high quality. 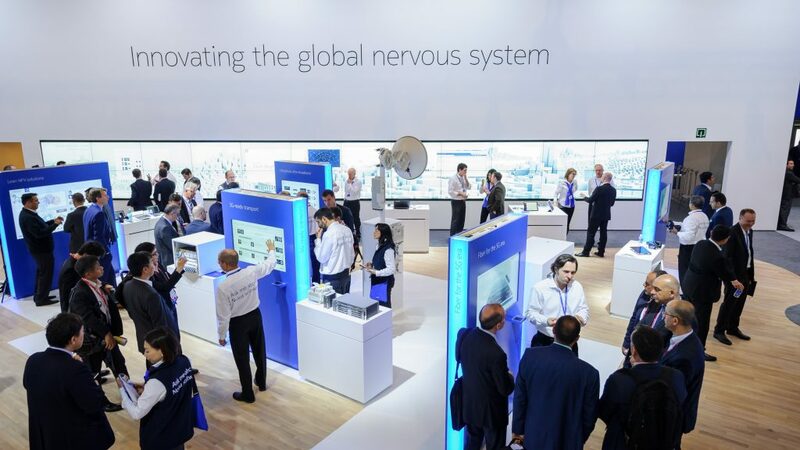 I recently had the pleasure of demonstrating cloud-native core network capabilities at Mobile World Congress as part of Nokia’s ‘Great Wall of Cloud’. This huge touchscreen panel brought together many cloud-related demos in areas like orchestration, cloud security, SD-WAN, data centers and cloud-native core. My cloud-native core booth ran four demos. The Nokia Shared Data Layer (SDL) demo showed how operators can monetize data exposure and easily integrate third-party apps to generate new revenue streams and enable new services. The DevOps demo, in my opinion our most innovative, showcased the new Nokia micro-service-based telecom application server (TAS) as an example application. We showed how a running Nokia TAS could be updated in just 30 seconds (yes, 30 seconds!) to enable an HD voice feature. This was really cool. A third demo showed how the cloud-native design of the Nokia Cloud Mobile Gateway helps operators to deliver ultra-broadband and IoT/MTC (Machine Type Communication) services, as well as aid in network diagnostics and trouble-shooting. Finally, the Nokia cloud-native Session Border Controller (SBC) ‘in-browser communications’ showed how VoLTE subscribers can link their mobile phone number across all their (SIM-less) connected devices to use voice and video calls, as well as messaging on their smartphones, laptops, tablets or even watches, even if the mobile phone is turned off. None of these demos were theoretical. We showed no PowerPoint slides. And I believe that puts Nokia at the leading edge of the cloud-native wave. Visitors seemed to agree. “Your booth gives me trust in the cloud,” said one, “there may be bigger booths here, but you have better content and real stuff to demonstrate,” said another. That’s pretty great job motivation I must admit! Our cloud-native core network architecture has the flexibility, responsiveness and adaptability needed to deliver the high performance, ultra-reliability and low latency demanded by the Internet of Things (IoT) and 5G. Finally, on a personal note, bringing together our presence at MWC took many months of hard work to deliver four days at the show. Many have remarked that this was one of our best congresses ever, so thank you to all who made it happen. Take a deeper dive in this white paper: “Building a cloud native core for a 5G world”. Ester Navarro leads the Mobile Networks Telco Cloud product marketing team. Even in her spare time she’s cloud focused, either climbing mountain peaks or inspecting them from above while travelling around the world.